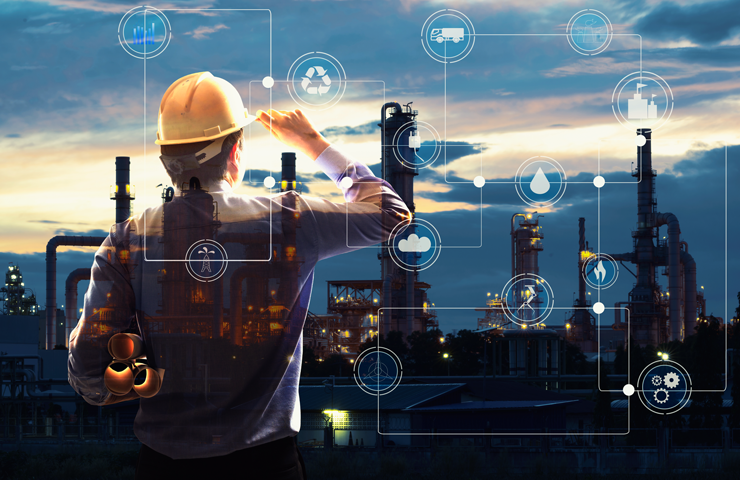 Large-scale production sites such as refineries or chemical facilities experience regular shutdowns in order to service machines, replace spare parts and upgrade equipment. This often involves several thousand internal and external service technicians working at the site to implement the scheduled subprojects within a given timeframe. With mobile apps, cloud solutions and seamless system integration, COSMO CONSULT was able to assist the operator of a large-scale process plant in sub-areas of the shutdown. Technicians used the business apps to report completed tasks and unscheduled additional tasks from their smartphones and tablets. Through a data hub in the Microsoft Azure Cloud, the information was transmitted directly to the planning software. With each status change, the system automatically adjusted the project schedule. New processes were approved and scheduled with little manual intervention. To help the project team keep track of the many subtasks, the IT toolbox was expanded to include an electronic wallpaper. Instead of manually updating conventional paper charts, the current project status is now clearly displayed on large touch screens. During the shutdown, several hundred workers worked on over a dozen subprojects using fully digital processes. The apps were used to log and monitor around 20,000 activities. The results? Key information is made available more quickly, workers no longer need to spend time on cumbersome routine tasks and enjoy greater transparency. With greater process efficiency, the company saves time and money.